This customer had been supplied standard capacity Airguard® HEPA filters by an indirect partner for several years. 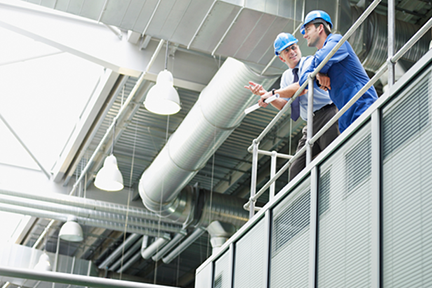 The indirect partner approached the customer with an energy savings solution using AAF Flanders MEGAcel® I filters. 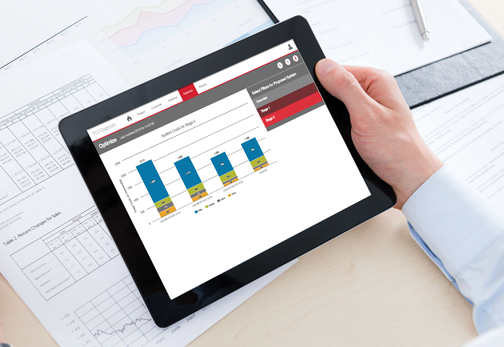 The customer welcomed a joint call from the indirect partner and an AAF Flanders sales representative to explain the energy savings benefits of using MEGAcel I filters, as well as to show the potential cost savings through AAF Flanders’ exclusive Total Cost of Ownership (TCO) Diagnostic® program. All of the air handling units (AHUs) at the customer’s plant are equipped with variable frequency drives (VFD). To receive the required airflow, most units run at 100% of the supply VFD. Competitive HEPA filters currently being used have very high initial resistance values. Based on AHU.R.09 system readings, the supply kW was 44.8. This equates to $23,547 per year in energy cost, based on $0.06 kW/h. Additionally, because of the higher resistance, the HEPA filters were physically bulging under the stress of the airflow. 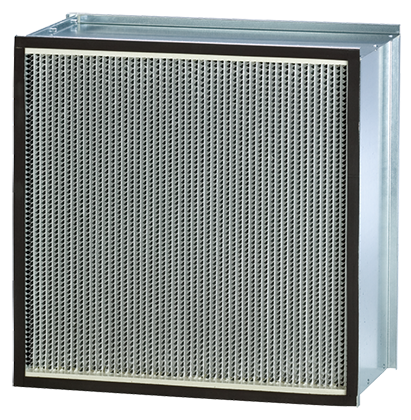 AAF Flanders and the indirect partner recommended replacing the current Airguard HEPA filter with the MEGAcel I filter. MEGAcel I filters incorporate AAF Flanders’ unique ePTFE Filtration Technology media, combining ultra-high efficiency with extremely low pressure drop. Lower initial resistance significantly reduces energy consumption, resulting in substantial energy savings and cost benefits. The customer agreed to install the MEGAcel I filter in AHU.R.09 on a trial basis. The advantages of switching to AAF Flanders MEGAcel I filters was astounding. The energy being used to supply AHU.R.09 reduced to 22.6 kW. This was a 50% decrease in energy consumption. In addition, AHU.R.09’s variable frequency drive reduced from 100% to 74%, meaning the same air volume was going through the unit while the motor was running at a lesser rate—consuming less energy. The 50% decrease in energy consumption should reduce energy costs to $11,879 per year. This equates to a savings of $11,668 per year!